All three versions are available as modules. Use the command module avail to find it. Please refer to the VisIt web site for more information on VisIt. 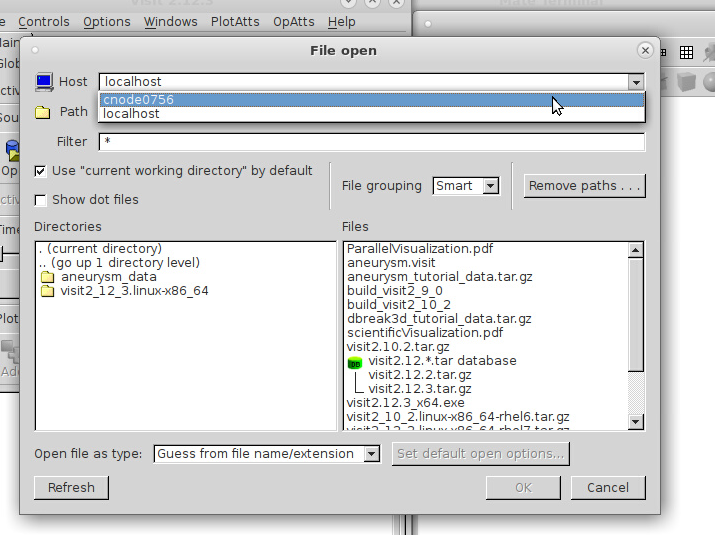 For interactive graphics, an OpenGL-enabled environment will be required, therefore refer to the page on Remote Visualization for instructions on setting up a connection to the visualization node, and running VisIt with the VirtualGL wrapper. VisIt is an extremely versatile post-processor, and can be used as the primary visualization tool for a very wide range of applications and file formats. It is possible to run a VisIt client on your local workstation, with the data and render processing happening on a cluster node. 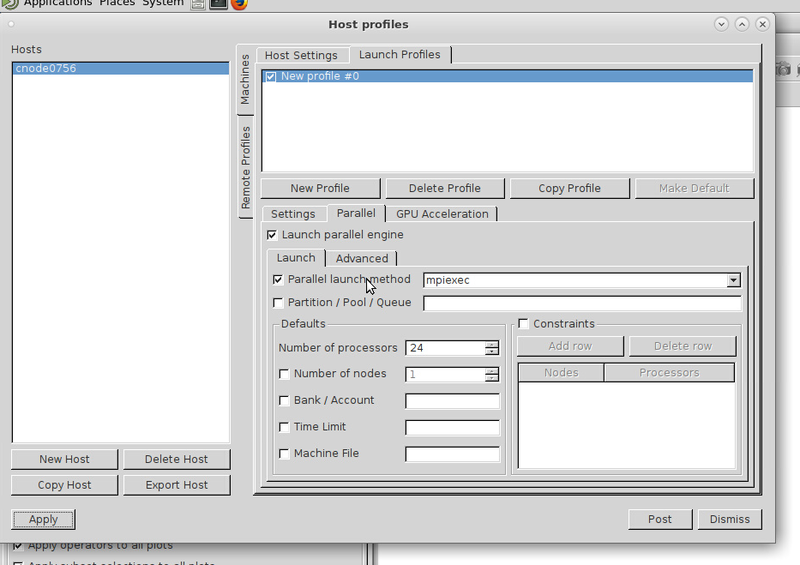 However, is is easier to use one of the visualization nodes (chpclic1 or chpcviz1) to run the interface. 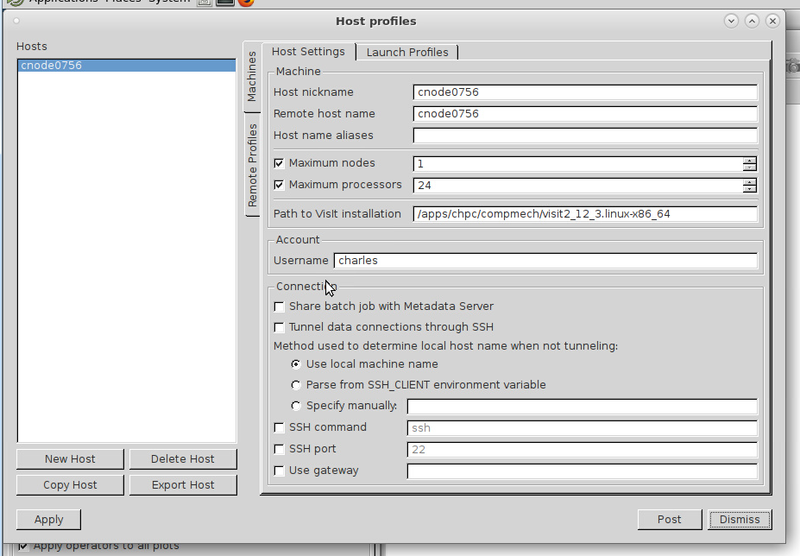 In order to do this, load the module chpc/compmech/VisIt/2.12.3-VNC, and start VisIt with the command vglrun visit. 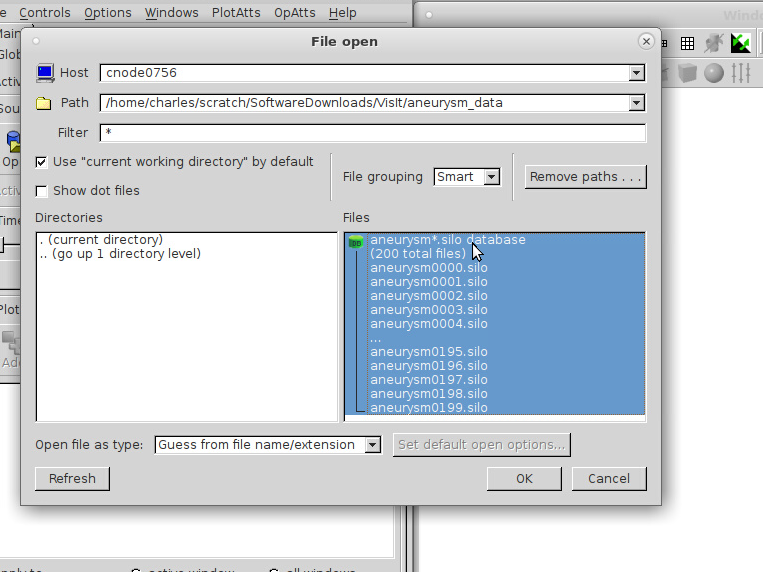 This will get you a serial version of VisIt, which is adequate for processing smaller data sets. However, the mesa module will clash with the VNC implementation of VisIt, therefore you will need to unload it in your VNC session before starting VisIt. Note down the hostname of the compute node assigned to you. In this case, it is cnode0756. Click Apply and dismiss the form. 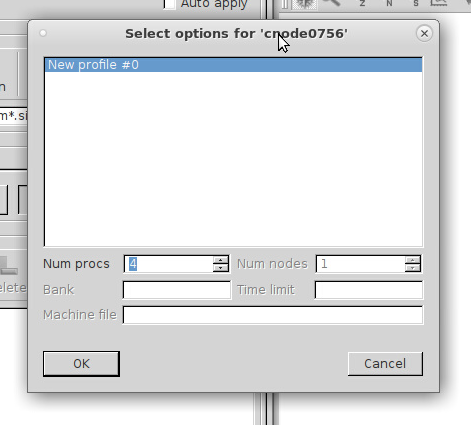 Change the host from localhost to your compute node, and if all goes well, you can select the appropriate data file on the compute node. From here onwards proceed as usual. Note that you will only get parallel acceleration if your data set is parallel.